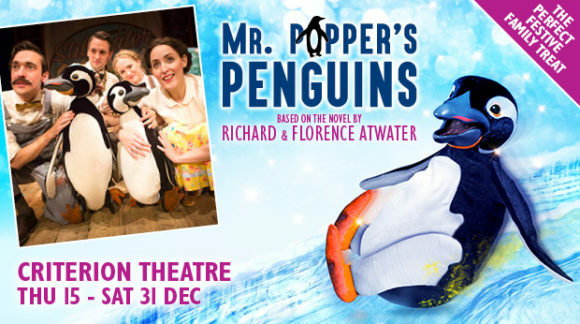 Be the first to see Mr & Mrs Popper and their amazing family of performing penguin puppets as they make their West End debut at the Criterion this Christmas – direct from a UK tour and New York City season! Painter and decorator by day, Mr Popper spends his time dreaming of Antarctic adventures. He is astounded when one day a packing crate arrives on his doorstep and a penguin waddles out! With original songs and performing penguin puppets, this delightful, action packed musical adaptation of Richard and Florence Atwater’s popular book (also made into a Hollywood film starring Jim Carrey), is the perfect family treat! Also this December it is penguin month at the SEA LIFE London Aquarium (K-Rating: 9.4). 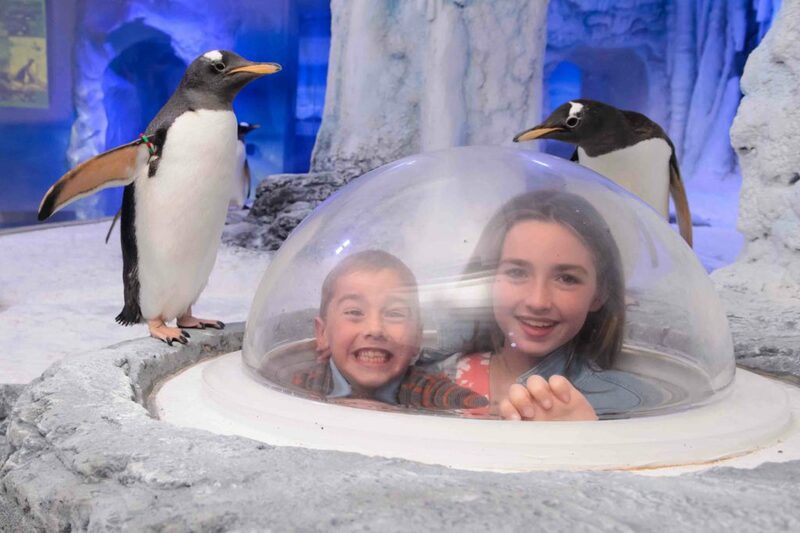 Spread the Christmas joy at Penguin Point, with a series of very cool one off experiences. Visitors will be able to get up close and p-p-personal with a colony of Gentoo penguins – with floor-to-ceiling windows and special ‘pop- up’ viewing dome. Guests will have the opportunity to send Father Christmas a letter via Penguin Post, ‘Sing-to the Gentoo’ carol services with a special choir, see the penguins play with edible bubbles and the chance to see what a penguin Christmas dinner looks like. Mr Popper’s Penguins is at the Criterion Theatre for a limited period only – 15 to 31 December 2016! To book your tickets and for more information please click here. Running time 55 minutes (no interval). Suitable for ages 4 – 104! One winner will receive a family ticket (four tickets, maximum two adults) to see Mr Popper’s Penguins at the Criterion Theatre, London. Valid for any performance between 15-31 December 2016, subject to availability. 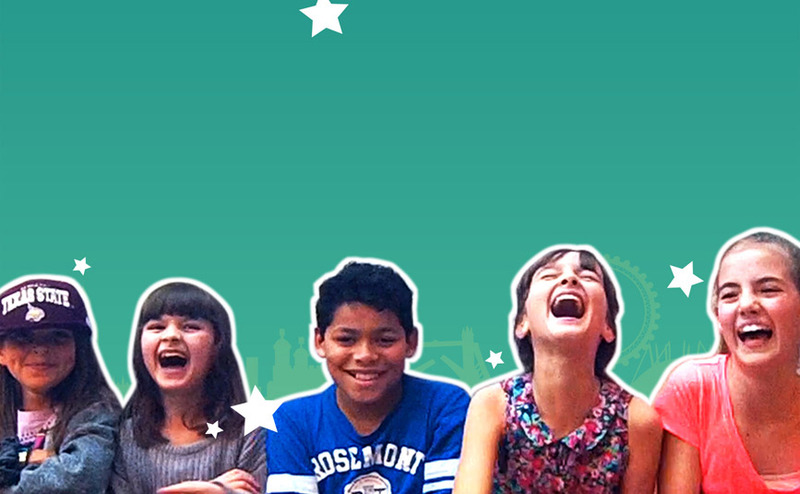 The winner will also receive a family ticket (four people) for the Sea Life London Aquarium. No cash alternative available. Travel and Accommodation not included.